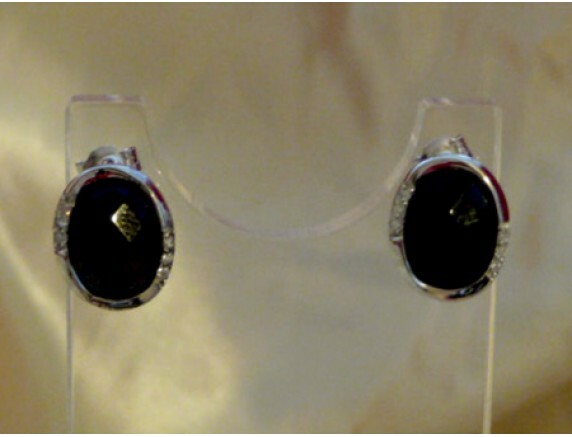 Star, Sterling silver, Black onyx, white 1.37cm. Thick 0.46cm, length 1.4cm, Weight 2.6g ..
Star, Sterling silver, Black onyx, white 1.4cm. Thick 0.43cm, length 1.6cm, Weight 3.2g ..